'Sculptures' is a retrospective of the work by Heikens from the past decennium. 144 pages, vibrant colors, designed with love and printed by the best printers in Amsterdam. (E- BOOK) Available now as an eBook in pdf format. 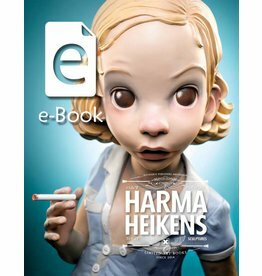 144 pages of art by the Internationally celebrated Dutch artist Harma Heikens. Collected in one stunning and mind blowing e-Book.